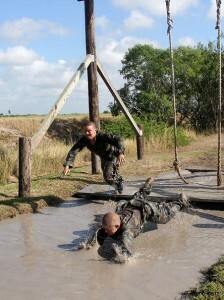 As the 2013 Marine Military Academy Summer Camp rapidly approaches it is time for many to make decisions about their son attending a 28 day of fun in South Texas. We say this because last year a waiting list was started on the 1st of June thirty days prior to the start of summer camp. Currently we have received 167 applicants and will only accept 320 young men. As the start of camp gets closer the number of applications increases to the point that those families who wait until the last minute will not have the opportunity for their son to attend camp. We encourage everyone who is thinking about sending their son to turn in an application as soon as possible to ensure there is a spot available for him. Call our admissions staff today if you are interested at the following phone numbers 956-421-9250/9251/9252/9270 or 9271. Visit our summer camp website and fill out the application on line or email admissions@mma-tx.org for more information.